Also, if your child did not report the school and has no changes in their schedule such as a transfer or homeschool arrangements, they will be marked absent starting today August 20. Students who do not attend school starting August 20, will be marked absent from August 20 until the day they begin school. Below you will find important information regarding changes to chronic absenteeism. Beginning with the 2017-18 school year, a new definition of “absent” will be used to identify students who are chronically absent. As part of the implementation of the Every Student Succeeds Act, districts and schools are required to report to the South Carolina Department of Education the number of students who are chronically absent each year. According to the United States Department of Education’s Office of Civil Rights (OCR), an absent student is one who misses 50 percent of the instructional day for any reason and regardless of whether the absence is excused or unexcused. In other words, students must attend class for at least half of the instructional day to be considered present for that day. Using this new definition, the OCR requires states to report the number of students in each district and school who are absent at least 10% of the time during which they are enrolled in a particular school or district. More specifically, students who are enrolled in the same school for an entire academic year and miss 18 or more days (10 percent) will be considered chronically absent. The total number of chronically absent students will be included on district and school report cards and reported to the OCR. Chronic absenteeism is not the same as truancy. Chronically absent: Any student in grade K-12 who misses 50 percent or more of the instructional day for any reason for 10 percent (or more) of the enrollment period. • A student is absent if he or she is not physically on school grounds and is not participating in instruction or instruction-related activities at an approved off-grounds location for the school day. Truant: A student between the ages 6– 17 who has accumulated unexcused absences on three consecutive days or has accumulated a total of five or more unexcused absences during the academic year. 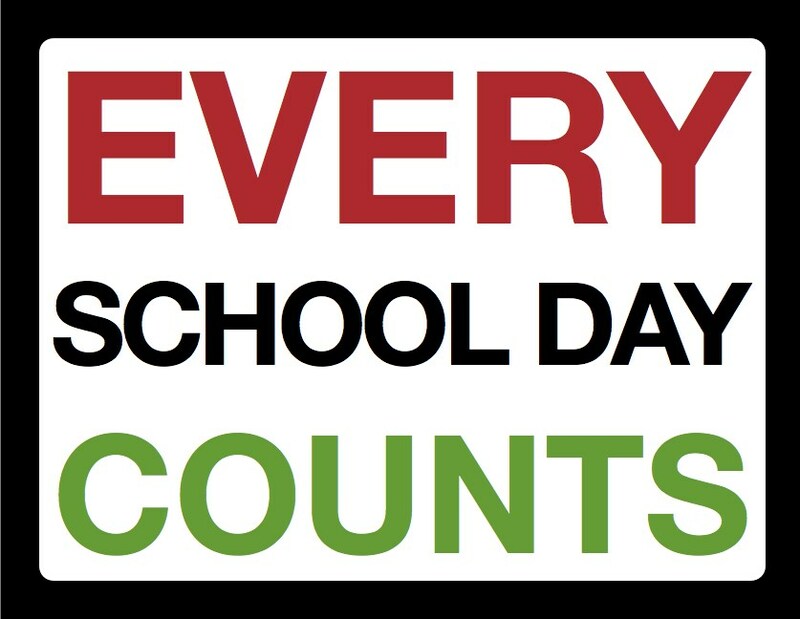 • Only full-day unexcused absences contribute to truancy. Because chronic absenteeism is associated with poor academic performance, increased dropout rates and decreased graduation rates, districts and schools are encouraged to make sure that parents are aware of this change. Additional information for parents is available at http://www.attendanceworks.org/what-works/engage-students-and-parents/ . For more information or training about chronic absenteeism, please contact your school Data Specialist.